This article reviews financing events that trigger Regulation Z disclosures. This is the first part of a two-part series discussing Regulation Z involvement in private lender transactions. 2.2. No other loan assumptions require Reg Z disclosures. 3.4. All other equity loans are exempt from Reg Z disclosures. 4.2. No other refinancing requires Reg Z disclosures, even if secured by the principal residence. 5. 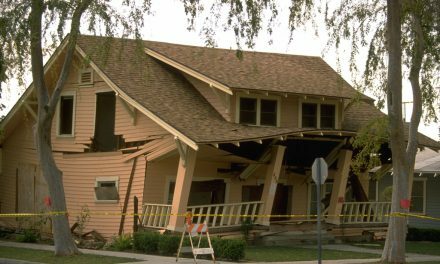 Other Reg Z issues to be considered include the timing of delivery of the disclosure and the use of RESPA good-faith estimates, and notice of the right of rescission on Reg Z equity loans secured by owner-occupied, one-to-four unit residential property. Consider a borrower who obtains a loan to purchase a recreational boat to be enjoyed by his family. The loan is secured by a trust deed on a rental property he owns. The loan is the sixth personal-use loan the lender has made within the calendar year which is secured by real estate the borrower owns. Must the lender make Reg Z disclosures? Yes! The lender is a regular financier and Reg Z applies to this, his sixth loan since the proceeds from each of the six equity loans were for each borrower’s personal use. More importantly, since the lender has made more than five personal-use loans secured by borrower’s real estate during the calendar year, the lender is now required to make Reg Z disclosures on all further Reg Z loans for the duration of this year and all of next year. Most carryback sellers are exempt from Reg Z disclosures since most are not regular financiers. The typical seller of real estate to a buyer-occupant is a homeowner who rarely sells more than five properties in any one calendar year, and even fewer structured as carryback sales to assist buyers in the purchase of their principal residence. Real estate dealers, builders, and developers carrying back paper on more than five sales of buyer-occupied one-to-four unit residential real estate in any calendar year are the carryback sellers extending regular financing who are targeted by Reg Z. Also, the investor who purchases carryback paper from sellers who are not regular financiers (five or less sales) are not controlled by Reg Z. The seller is the original payee on the note, not the trust deed investor who is acquiring the paper by assignment of the note or trust deed. Editor’s note —The remainder of this material addresses loans by private lenders only, whether referred to as a lender or private lender. However, the material applies equally to carryback sellers — dealers — who regularly finance sales of single family residences and duplexes to buyers acquiring their principal residence. any other real estate or personal property acquired for personal enjoyment rather than for business, investment, or farming. Reg Z disclosures on an assumption of a loan by a buyer are limited to loans falling within a narrow set of facts, triggered primarily by the buyer’s occupancy of the property as his principal residence. Reg Z disclosures are required on some refinancing, not because the refinancing pays off a loan and thus funds no present personal use, but because the loan paid off did fund a personal use for the owner of the property. Thus, the refinance is merely a continuation of a debt incurred to fund personal expenditures. was made by any lender or carryback seller. Editor’s note—While loans for the purchase of owner-occupied, three-or-more units are exempt from Reg Z disclosure requirements, equity loans funding the maintenance or improvement of owner-occupied, one-to-four unit residential property require Reg Z disclosures. Thus, financing used to purchase, improve, or carry the costs of income-producing, investment, dealer, agricultural, or business use real estate is exempt from Reg Z disclosure requirements, even if it is secured by the borrower’s principal residence. A private lender must first be classified as a regular financier of Reg Z loans before he is required to make disclosures and notice the right of rescission on any loan. To determine if a private lender is a regular financier depends on how often during the prior or current year he makes a loan for the purpose of the borrower’s personal use, called an annual count. Like business-purpose loans which are exempt from Reg Z, so also are personal-use loans for more than $25,000 which are not secured by real estate (or a mobile home used as the borrower’s principal residence). Disclosures on Section 32 loans are controlled by a different count. Further, Section 32 loans require disclosures, notices, and repayment limitations without concern for the count needed to be classified as a regular financier. Thus, a private lender could be a Section 32 equity lender required to make Reg Z disclosures and not be a regular financier — until he has made more than five Reg Z loans, including any Section 32 loans. Consider a private lender who began making personal-use equity or refinance loans, secured by one-to-four unit residential real estate, whether or not owner-occupied, in January 2004. In calendar year 2004, the lender made only five such personal-use loans and was not subject to Reg Z during 2004, and thus was not a Reg Z lender in 2005. None were Section 32 loans which would have independently required disclosures. However, in 2005, he originated seven personal-use loans. Thus, his sixth and seventh loans in 2005 became subject to Reg Z. He is now required to make Reg Z disclosures on all Reg Z personal-use loans originated in 2006 since he exceeded five originations on one-to-four unit properties in 2005. In 2006, he funded four personal-use loans secured by any type of real estate. The lender made Reg Z disclosures on all four loans since his lending volume in 2005 under the more than five one-to-four unit test established him as a regular financier under Reg Z for 2006. If the lender makes only five loans secured by one-to-four unit residential property (owner-occupied or not) in the calendar year 2007, must he make Reg Z disclosures on each loan? No! During the preceding calendar year (2006) he only made four personal-use loans secured by one-to-four unit properties. Thus, he is not considered a regular financier required to make Reg Z disclosures on his first five personal-use loans during the following year (2007). 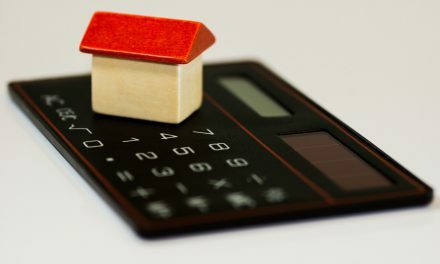 The use of a loan broker does not alter the count for the lender, except for those Section 32 personal-use equity loans secured by one-to-four units occupied by the borrower as his principal residence which requires disclosures if a broker arranges the loan. Personal-use services rendered by a person who is paid on an installment plan are extensions of credit (credit sales) controlled by Reg Z. 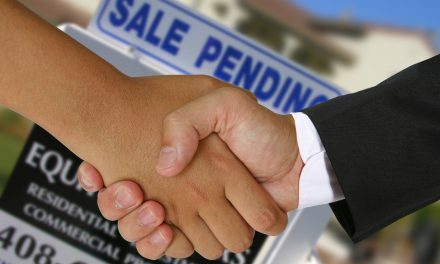 The broker has “sold” his services and extended credit to the buyer. 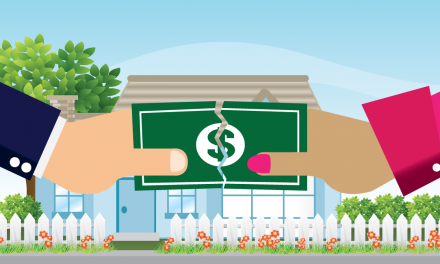 He accepted a note fromt he buyer for the deferred payment of his fee and either included interest or a repayment schedule of five or more payments. The note given for the payment of the brokerage fee on the personal residence is treated as consumer financing under Reg Z. The extension of credit is comparable to a note carried back by a seller and more particularly, treated as though the broker had made the buyer a purchase-assist loan. A broker could receive for his consumer services the buyer’s unsecured note in lieu of cash. Thus, the broker could accept up to 25 notes, none of which would be secured by real estate (or a mobile home which is the principal residence), each year from buyers without having to make Reg Z disclosures. Again, the target of Reg Z is the larger brokerage and private lender operations. POLL: Are you aware of a lender calling a mortgage due?